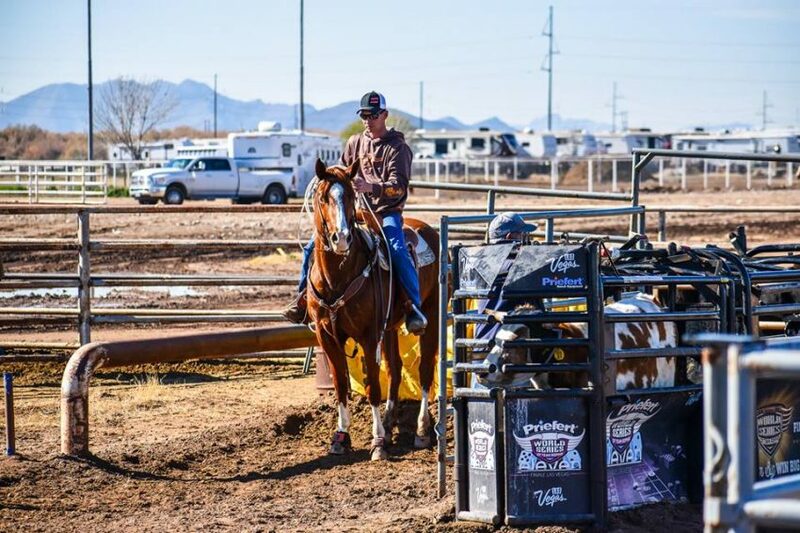 The lure of warm weather, frost-free mornings and dozens of arenas within easy driving distance draws many northern-dwelling horsemen and -women to southern Arizona each winter. Lifelong barrel racer and icy Klamath Falls, Oregon resident Lyndsey Pearce and her fiancé, Lee Felder, recently loaded up four horses and headed south to partake in some of the warm winter equine festivities. 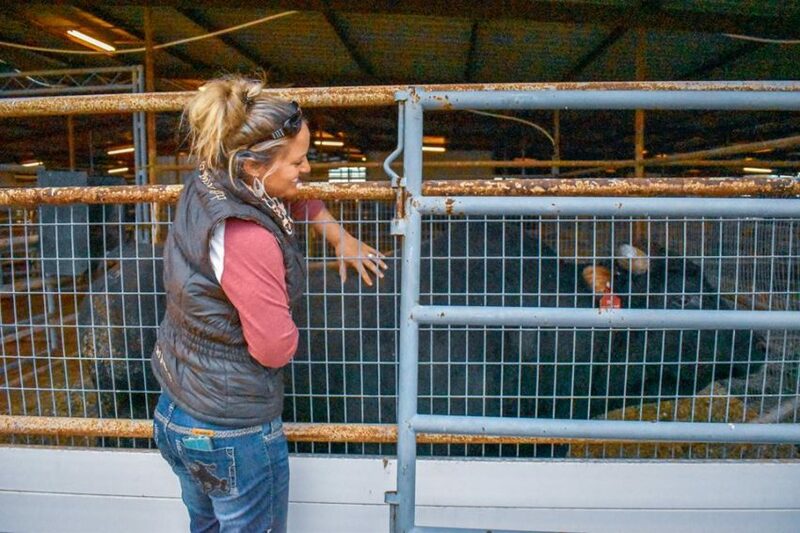 Here, Lyndsey chats with CavvySavvy writer Jolyn Young about her recent trip. JY: So, this winter you went to Arizona for a few weeks. That is the dream trip for a horse owner! Where and why did you go? LP: We mostly stayed in Buckeye. We went for the three big barrel horse futurities, and they also have tons of team ropings around there. We also went for the warm days – we were tired of freezing our butts off trying to get horses worked on frozen ground and wanted a break from breaking ice and blanketing every day. JY: What was your daily routine like? LP: One would think it would be a vacation, but taking 3 barrel horses and 1 rope horse keeps you extremely busy! We got up at 5 a.m. to feed horses at 6 a.m. so they could eat before they had to compete. That was promptly followed by cleaning stalls and giving them fresh water. Then we went back to the trailer to get cleaned up, followed by futurity horse check-ins and/or time only runs. The next day would be the same routine followed by a race at 9 a.m.
Lee helped me warm horses up. I would warm up one and run. As soon as I was done running, we would do the hand-off. Lee would cool that horse out while I finished warming up the horse that he was riding, and repeat to horse #3. This was a marathon! After the races, we cooled horses out, gave them fresh water again, cleaned stalls and fed the horses. We then grabbed our one daily meal, then went back and checked the horses to make sure they were eating and drinking and to clean their stalls one last time before bed. Here, Lyndsey’s fiancé Lee roped on her barrel horse as part of a well-rounded training program. JY: Sounds like busy days! Was the night life fun? LP: Trust me, we were no party animals around there! The days were so busy we didn’t stay up past 9 p.m. (except one time when I had to run in the pouring rain at 11 o’clock). JY: Did you get a chance to do any fun tourist-y things? LP: There were no barrel races on Mondays, so we usually went exploring in the desert. We also shopped at NRS(National Ropers Supply), ate at a cool Louisiana-style restaurant, got pedicures, shopped some more, and sat in the sun drinking Palm Breeze and just enjoying the day. Lyndsey and Lee found a cactus! 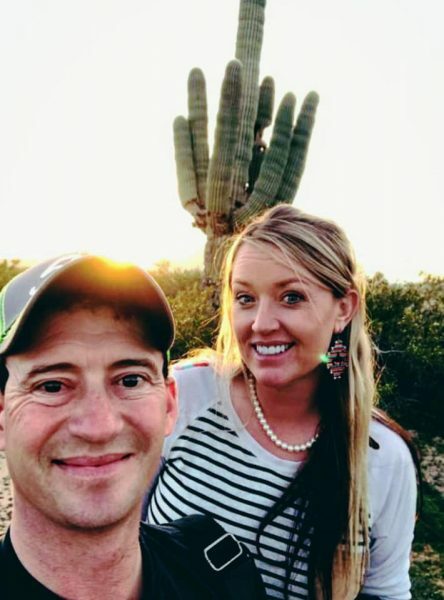 They were so excited they posed for a picture with the impressive saguaro. She also got to pet a PBR bucking bull. And of course they made time to rope the dummy and barbeque while sipping cold beverages arena-side. JY: Sounds fun. How did you wind up doing in the races? LP: I won more than I spent, so that’s always good in my book. I entered races sanctioned by the Arizona National Barrel Horse Association; the Med Vet Pharmaceuticals Futurity and Open; and the Greg Olson Memorial Futurity and Open. JY: There were some pretty well-known barrel racers there, right? LP: Yes, Sherry Cervi, Sarah Rose McDonald, Michele McLeod, and Kathy Grimes. There were also top-level futurity trainers like Hallie Hanssen, Pete Owen and Ryann Pedone. You see everything pulling in there from straight-load one-horse trailers to $200,000 trailers being pulled by big rigs. JY: Did you get a chance to talk to any of the high-profile competitors? LP: A little small talk in the holding pen. I tend to sit back and watch how they ride, what they ride, etc. Always trying to learn things, you know. 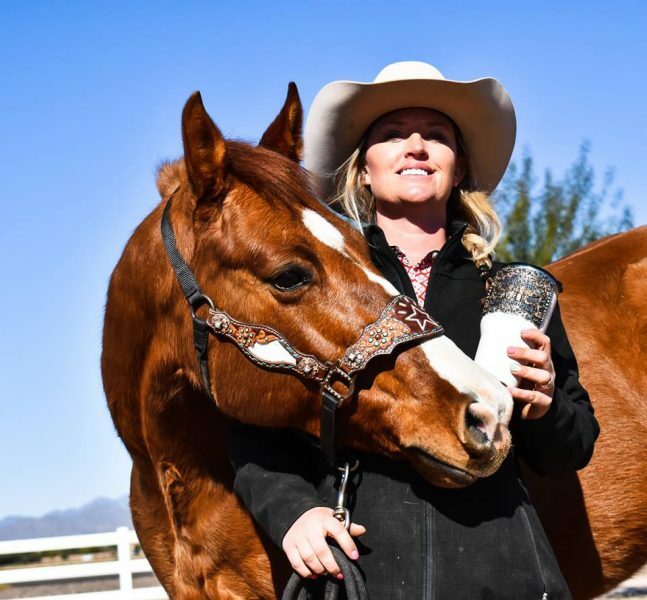 Lyndsey, Lee, and her string of barrel horses had a great time in Arizona. Plus, they won a cool travel mug! If there’s a better way to spend a few weeks in December/January, we haven’t yet heard about it.